Congratulations to the Spartan Football team on winning the 2018 District XI AAA Championship! The Spartans dominated Notre Dame Green Pond in every aspect of the game yesterday, on the way to a 36-0 win over the Crusaders. Congratulations to North Schuylkill’s 2018 Homecoming Princess Hailey Welker and Homecoming Queen Gracie Orosco! North Schuylkill Jr/Sr High School inducted 11 new members into their Student Council during a special ceremony held on September 19, 2018. The North Schuylkill Education Association collected donations from its members to purchase and donate children's books to the libraries in Ashland, Frackville, and Ringtown. Trevor Minalda, Ari Wolfe, and Ian Minalda display some of the books donated to the Ringtown Library along with Tanya Savitsky, Ringtown librarian. Take the time to read over the summer! Visit your local library! On Tuesday, May 1st, North Schuylkill High School inducted 43 new members into their National Honor Society. The induction ceremony took place in the high school's auditorium. Mrs. Misiewicz, Mr. Houser, Mrs. Briggs, and Mr. Wyatt with Governor Wolf advocating for our students at the PSEA Eastern Region Legislative and Education breakfast. Congratulations to North Schuylkill Spartan Swimmer Reggie Crawford for winning the 2018 PIAA AA State Swimming Championship in the 50 yard freestyle. Reggie becomes the 1st ever swimming state champ in North Schuylkill history with his state record setting time of 20.45 seconds. North Schuylkill held their 3rd annual Speech and Debate tournament on February 10, 2018. Winners from North Schuylkill are pictured. Congratulations to all who competed in the tournament! Kindergarten students at North Schuylkill Elementary are celebrating the 100th day of school! North Schuylkill Elementary students were excited to participated in the Mobile Agricultural Education Science Lab this year. A couple of North Schuylkill students are enjoying their reward day where they are able to have some free time with their devices! Our mission is to provide our students with opportunities designed to meet individual needs and to ensure that every child has experiences that promote growth and excellence in all academic and social development areas. Through mutual respect, our students will grow and learn in a positive atmosphere, where faculty, staff, parents and students together are enthusiastic about the learning process. The North Schuylkill School District Wall of Fame Committee will be accepting applications to formally recognize and honor NSSD graduates for outstanding academic and professional achievements. 1. At least ten (10) classes must have graduated from the time of the nominee’s graduation before he/she becomes eligible for election to the Wall of Fame. 2. Any alumni meeting the ten (10) year rule are eligible to be nominated and selected. 3. Nominating forms are available on the district website or in the high school principal’s office and must be completed and submitted no later than March 15 of each year. 4. Induction ceremonies for newly inducted members of the NSSD Wall of Fame will be held in conjunction with the annual NSSD Commencement Exercises. 5. Names of inductees will be showcased on an electronic display in the main lobby of the NSSD Junior/Senior High School. 6. Each inductee will receive a plaque on the night they are inducted into the Wall of Fame. We are proud to announce that the North Schuylkill School District is now a Certified - Authorized - Testing Center. We are now set up to administer the Auto Desk Certified User Exam and the Certified Professional Exam. Currently, the closest testing centers for this are in Williamsport, York, and Quakertown. The fact that the North Schuylkill School District is now a testing site is extremely exciting! This is not just a wonderful opportunity for our students within the district, but also for our community members. They are also provided the opportunity to use the NSSD as the site of their choice for testing. Mr. Kelly Stone, a teacher within the North Schuylkill School District, is the certified instructor. That’s what the press release stated from our June 20, 2018 meeting. However, people need to understand what schools are up against in meeting the bottom line. If anyone believes that school board members want to raise taxes or have a cavalier attitude doing so really don’t have a clear understanding of the multitude of issues that school districts face. Do people truly believe that we want to pay more? We are taxpayers, too. Folks are quick to say that we need to live within our budget. We do have a budget that provides a spending framework. Unfortunately, it is the mandates that we must find money to pay for while relying on our representatives to ensure that they fund what they hold us accountable to follow. The talk of a budget in Harrisburg on time is welcome news; however, North Schuylkill’s increase from state sources is estimated at merely one percent, or only $89,724 more. While happy to have an increase, our contribution back to the state coffers for the pension plan has increased by 5.5 percent, or $202,000. We have not filled three positions, slashed the amount of allocation for supplies and are creating alternate learning environments to save money on out-of-district placements. In the past few years, we have phased out double-digit positions, replaced full-time positions with part-time ones, changed how our health care plan operates and turned down some much-needed programs that we believe would be beneficial to save money. We are hopeful that the fair funding litigation gets cleared of all of legal hurdles in the appeal process and schools such as ours will have the same opportunities as all others in the state. Charter school tuition and costs to educate students who choose not to attend North Schuylkill have also created a financial hardship. We know people say there is a reason that families make the choice to use a different approach; however, some families have never stepped into our district to see what we can offer. They simply didn’t like the place they previously attended and moved into the district and that bill gets shifted onto our district. This cost has risen by $144,000 or 18.24 percent, from the previous year. The state has allowed more than triple the amount of charter or cyber charter schools than originally allocated. Property taxes are not a shared responsibility, but not for the reasons that you may think. We hear complaints that those renting don’t pay their fair share, but rest assured landlords aren’t going to pay that on their own and they pass it onto their tenants. One of the main concerns has been that some of our neighbors continue to allow their payments to go into arrears. A few million dollars is still owed to the district. If this was paid regularly we would not have to continue to increase taxes. That said, we encourage you to look on our website, www.northschuylkill.net, to see the lists of delinquents. There is a buzz about property tax reform which, if a fiscally responsible plan would come along, we would support. It would make our volunteer “jobs” much easier and we could focus on what we all are here for, the kids. However, ask yourself some questions before jumping all in on this topic. What happened to the gas tax monies? Our roads are terrible, maybe the worst they have ever been. How about the casino money? PA’s casinos have broken revenue records; however, has the Homestead Act provided you with more money? Or the pension that was referenced earlier — our legislators allowed it to be unfunded for years and now have put the burden on local government to recoup the monies that they mishandled. All of this on the backs of taxpayers. We will continue to try to be financial stewards of the tax dollars we collect and the allocations that we are provided; however, trying to provide a quality education with the dollars provided by our state versus the mandates that they expect you to fund is becoming more difficult. 1. Shirts can now have intersecting lines. 2. Pants, Shorts, skirts, and jumpers can now be worn in OLIVE GREEN in addition to navy, black, brown, gray, white, or khaki. Pants CANNOT have any lines one them. No flannel pants are allowed. 3. No garment of any kind is permitted with any holes. This would include sweaters and camisoles that sometimes have holes as a design. 4. Students can wear suits, blazers, sport coats, and ties. 5. No coats should be worn at any time in the building. Blackboard Connect is our parent notification system for calls/texts/emails. If you would like to add/delete or change the way you are notified by our system, please follow the directions below to create a parent account. The school does not change our information based on any changes made in this system. If your phone number or address changes you must notify the school office, in addition to changing it on Blackboard Connect. Click here to view the North Schuylkill District Newsletter. The North Schuylkill Elementary will be implementing a new Postive Behavior Intervention and Support Plan for the 2017-2018 school year. The welcome letter and matrix can be found be clicking the links below. The Pennsylvania Department of Health is changing the vaccination requirements for your child, beginning in August 2017. Your child must be vaccinated, or have a written plan to vaccinate, within one week of the first day of school, or they may not be allowed to attend school. Our first day of school at North Schuylkill is Monday, August 28, 2017. If your child is not vaccinated or does not have a written plan by your doctor for vaccination by Friday, September 1, 2017, your child will not be allowed to attend school starting Tuesday, September 5, 2017. If your child has already received these vaccinations, please send in a written copy of the vaccines to your child’s school for review. If your child has NOT received these vaccines, please contact your doctor immediately about scheduling an appointment in order for your child to receive the recommended vaccines for school attendance. If you do not have a doctor, please call the Pennsylvania Department of Health at 877-724-3258. You can also visit the website dontwaitvaccinate.pa.gov for information about these new regulations. These regulations are meant to ensure that children attending school are adequately protected against outbreaks of vaccine preventable illnesses. 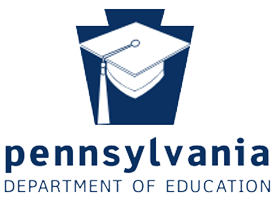 The North Schuylkill School District has updated its Comprehensive Plan for 2018 - 2021 in order to meet the Pennsylvania’s Department of Education requirements. One of the very first things that must be done when you contact me requesting to rent out the Natatorium is to fill out the building usage request form. This building request form should be completed about a month and a half/two months before the party because it would need to get approved by the school board at their monthly school board meeting. This completed form, along with my signature, will ensure that there are no other events going on that day which would conflict with their request. Along with this form, a certificate of the party’s homeowner’s insurance must be handed in as well. Within about two weeks of handing in the building usage request form, another form must be handed in as well as a deposit to rent the pool. This form is called the Swimming Pool Contract form and this form illustrates the required documents that must be turned in before the pool party. Then, in regards to the specific details, I have a rules and rate schedule form that must be looked over in advance because this represents what is allowed and what is NOT allowed at NS pool parties while explaining the rate schedule. Normally pool parties are scheduled to last for two hours. And, we have a rate schedule where they pay per hour. We have rates for families that are in the district and we also have rates for out of district families. These rates also increase as the amount of swimmers go up. If anyone would like to contact me in regards to having a pool party, my email is jcory@northschuylkill.net (my contact info is also on the forms as well). You can do so that way - and then I will provide all the information they would need to know in order to have a pool party at NS. Doctors and pediatricians in our area are seeing cases of Hand, Foot and Mouth Disease. Hand, Foot, and Mouth Disease is caused by a virus and is usually seen in children under age 5 and infants. It can be seen in older children and adults. Pregnant women should consult with their doctor or obstetrician if they have been exposed or think they have been exposed to an infected individual. The symptoms include: fever, decreased appetite, ulcers in mouth, rash primarily on the hands and soles of the feet, and in some cases blisters. It is not usually serious and individuals with Hand, Foot, and mouth recover in 7-10 days without treatment. It is spread by close contact such as coughing, sneezing, kissing, hugging, and sharing cups and utensils with infected individuals. Individuals infected with Hand, Foot and Mouth Disease are contagious before symptoms appear. The best way to prevent it from spreading is practicing good hygiene: washing hands; sneezing and coughing into tissues and disposing of them immediately; and cleaning surfaces that could be touched by unwashed hands. Good hygiene at all times is the most effective method of preventing the spread of the disease. We are pleased to announce that we have turned on email grading notifications. The default is setup to send parents an email whenever a student scores below a 70% on an assignment. This email will be sent to the email address that is registered to the parent. If you would like to change your default settings, please click here for further explanations. Any information contained in this letter is not intended as medical advice, but simply to alert families to the existence of alternatives to opioids and that any such choices should be discussed with their physicians. An increasing number of heroin overdoses are being experienced by young adults that have become addicted to opiate-based pharmaceuticals prescribed to them due to school sports injuries or common accidents. Oxycotin, Demerol, and Percoset, and many other opiate-based pain killers, can become highly addictive after an extended period of use. A person that is addicted could purchase Oxycotin on the black market for $80 a pill. Due to that expense, many switch to heroin, which is now only $5 per small bag. However, heroin transforms the brain to want this stimulus in ever increasing quantities. No one can just experiment with heroin, once you use it you are hooked, and in most cases, heroin will lead to death from overdose. While we can not totally eradicate the drug problem, we can diminish its effects on society through education. That is the point of this letter. When your child is injured, you do not have to simply accept what the doctor is prescribing for pain. Below is a list of opiate-based drugs, and alternative non-addictive pain killers that can be prescribed instead. Please be aware of your options and ask your doctor or pharmacist these critical questions to save your child from the potential for addiction. Heroin overdoses have increased by over 400% in the last few years. By following this advice, we may finally start witnessing a decrease in opiate addiction, along with overdoses caused by addicts switching to the cheaper fix of heroin. Thank you for your consideration. Due to construction on the lights for Ghosh Orthodontic Field, Spartan Stadium will be closed until further notice. Thank you for your cooperation and understanding while we undergo these upgrades. The track is open to walkers and runners from 5PM until dusk when school is in session. It will be open from dawn until dusk during weekends and summers. All Buildings and Fields are property of North Schuylkill School District. Written permission is required before using any facility. Enrollment forms are available in the links above. For your convenience, the PDF forms are designed with the ability to electronically enter most information. In addition to the enrollment forms, proof of birth, proof of residency and an immunization record must be provided for each student. Missing items will delay the enrollment of your student. Please contact the appropriate building for an appointment or for any questions regarding registration.